Mint condition, Onan Generator, solar package, refueling station. We are located in Canada so do the exchange it si worth the trip!!! Better than expected condition. Tires were replaced in 2013 with a date code of 4712. New electric hitch jack stand. The seller's items go with the sale. Room for 3 lp bottles with a cover. The bottles are not available and do not go with the sale. Stock #170974 Great shape, stored under roof, clean and fully furnished! 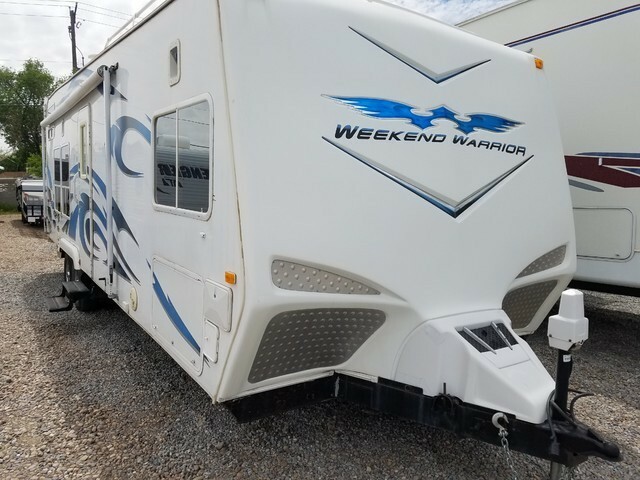 If you are in the market for a toy hauler, look no further than this 2007 Weekend Warrior FSW2800, just reduced to $16,500. 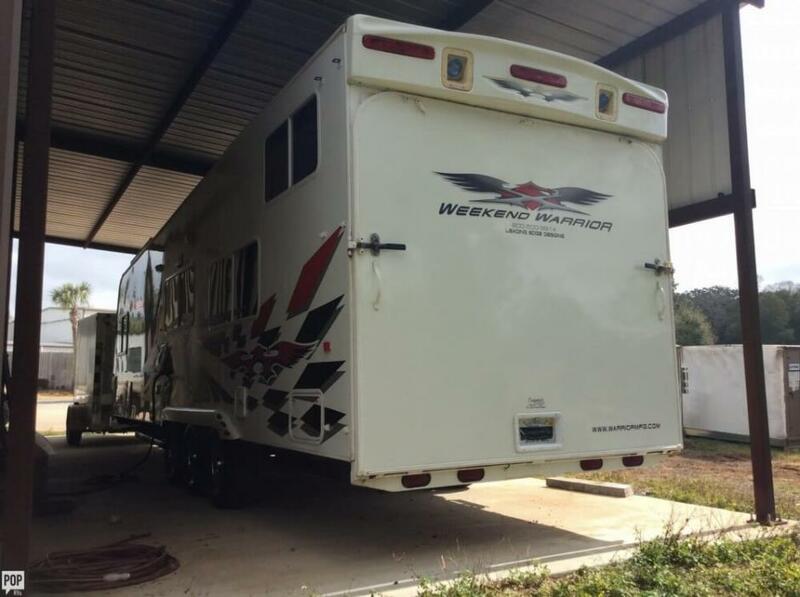 This Toy Hauler is located in Pensacola, Florida and is in great condition. Reason for selling is not using enough. Weekend Warrior Super Lite SS2500. 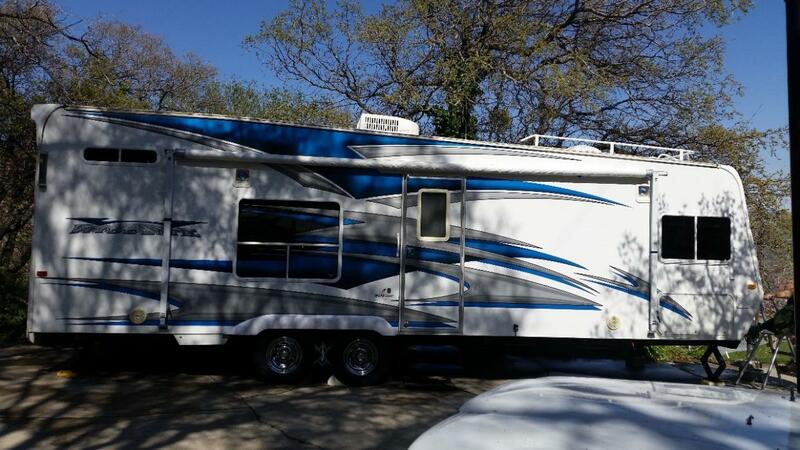 Self Contained, 120 Gallon fresh water, 40 Gallon Fuel Station,25 Gallon Generator Fuel, A/C, Heater, Generator, Refrigerator, Oven, Stove, 2 Spare tires .Sleeps up to 10 with a blow up matress.This Toy Hauler is built to stay with no hock up for days.Sum ware and tare.Everthing is working. Weekend Warrior 30 foot toy hauler. 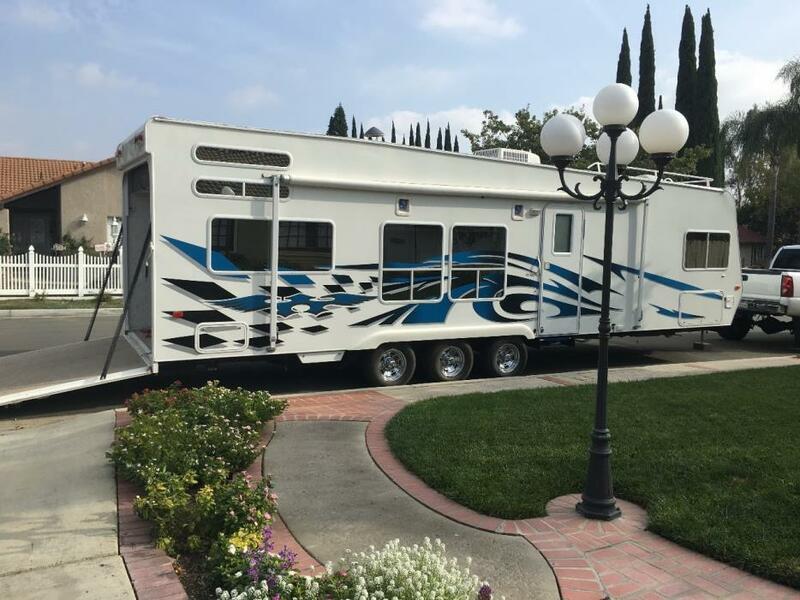 Very well maintained, set up for 2 full size motorcycles; easy load ramp door; 5500 Cummins generator, 125 gal fresh water tank 75 grey 75 black, on board fuel stationQueen master bed, electric queen bunk: bench seat (folds to twin bed)LR couch folds down to full bed; pull out pantry; built in clothes hamper; ducted A/C; ducted furnace; microwave/convection oven, hot & cold outside shower, outside water pressure hose; triple 20 lb LP tanks in fiberglass nose cone. all LED lights; new tires last Fall: It has served us well. 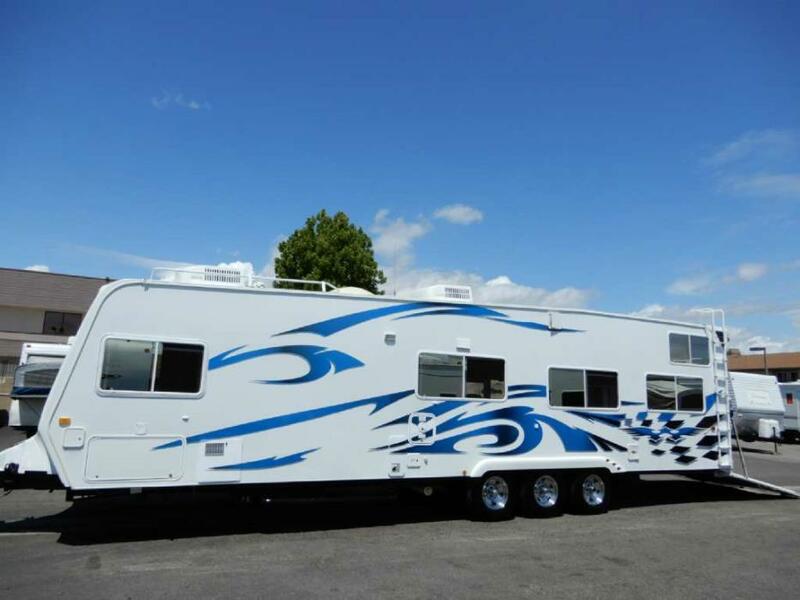 This is a 2006 Billet Edition Weekend Warrior SLC 3705 Fifth wheel toy hauler. The living room and bedroom slide out. 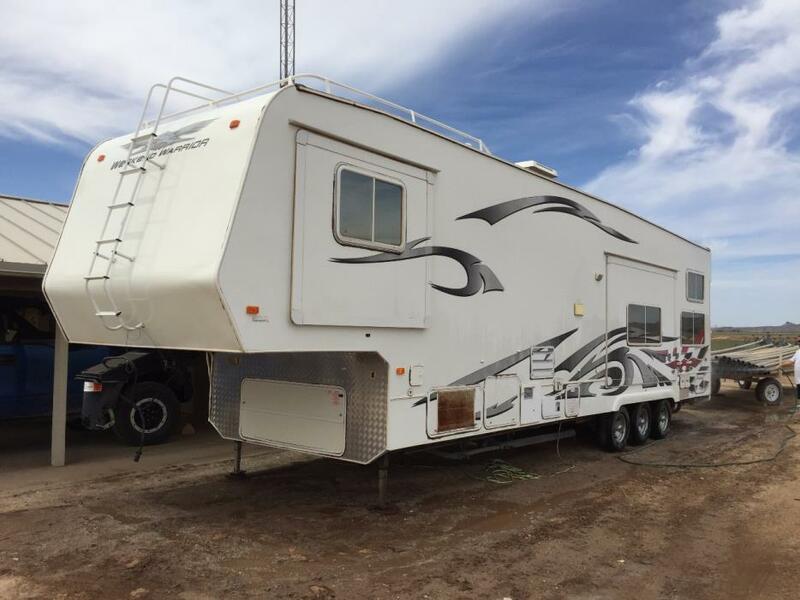 You can haul plenty of toys in this unit. 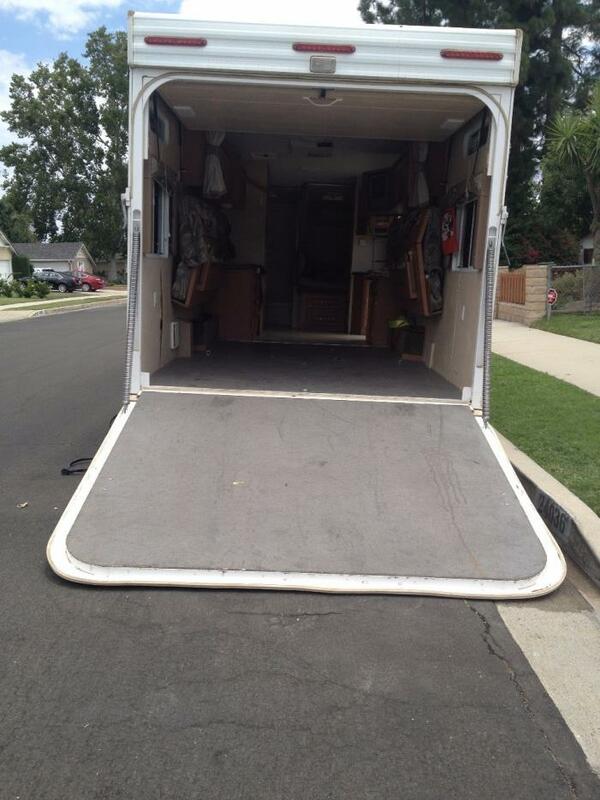 It has a queen size master bedroom, electric dual bunk beds, and a sofa that is used as a twin bed. It also contains 150 gallons of fresh water, 50 of gray water, 50 of black water, 20 gallons of gas tank just for the generator, 40 gallons of gas storage for fuel station. The fuel station pump is currently not in use and all gas storage is used for generator. Generator hours are 950. It also has 2 air conditioning AC units. 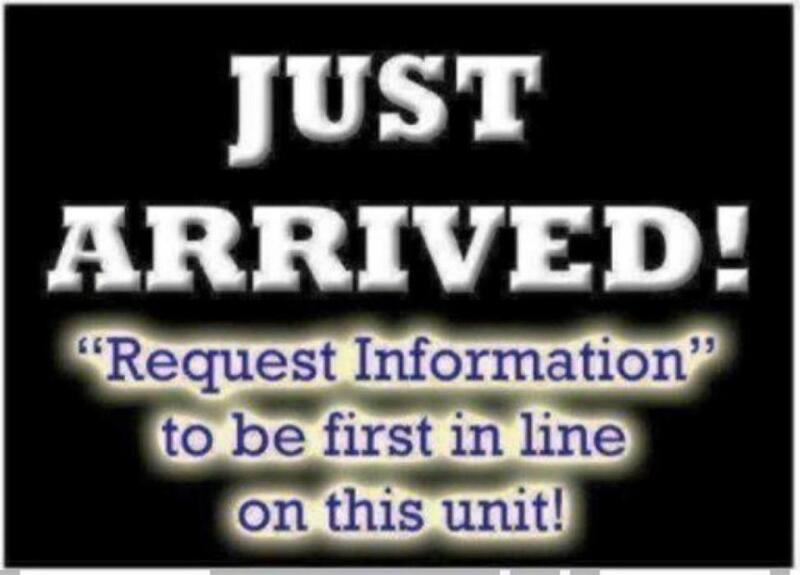 This unit has too many options to list, please see photos for list of options. TV's not included. It will need new tires and the price reflects that. 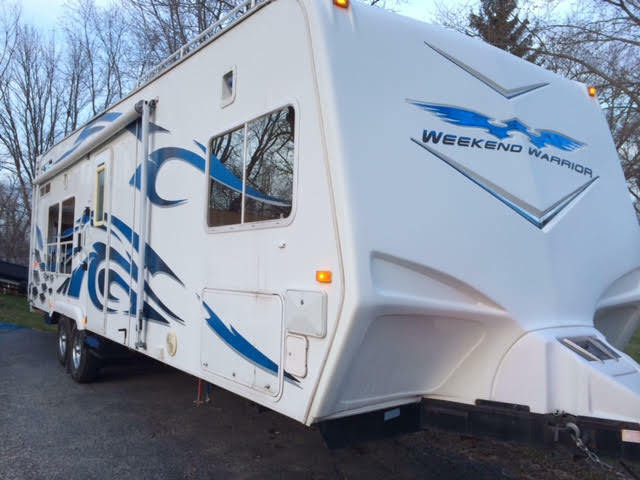 2009 Weekend Warrior Wide Lite, WLFS2600. 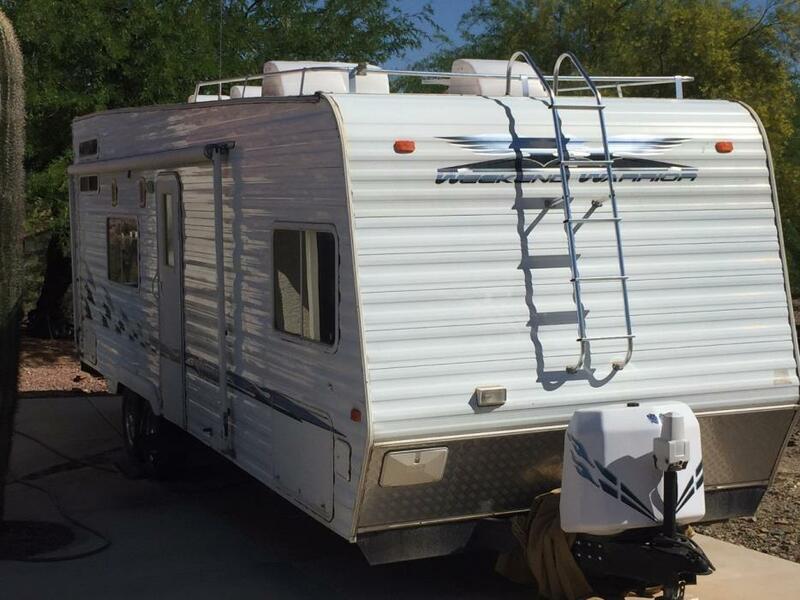 On board fuel station, on board generator, AC/propane,3 burner stove, microwave/convection oven,2 newer flat screen TVs in LR and Bedroom, 2 queen beds that can be electrically raised out of way, new queen mattress in master, bench couch that can be used as bed, new carpet with padding, outside shower and outside speakers. One owner. CALL RANDY 661-477-3413. 2007 Weekend Warrior FSW3200 Billet Edition, 2007 Weekend Warrior FSW3200 Billet Edition. This is one that you don't want to miss. 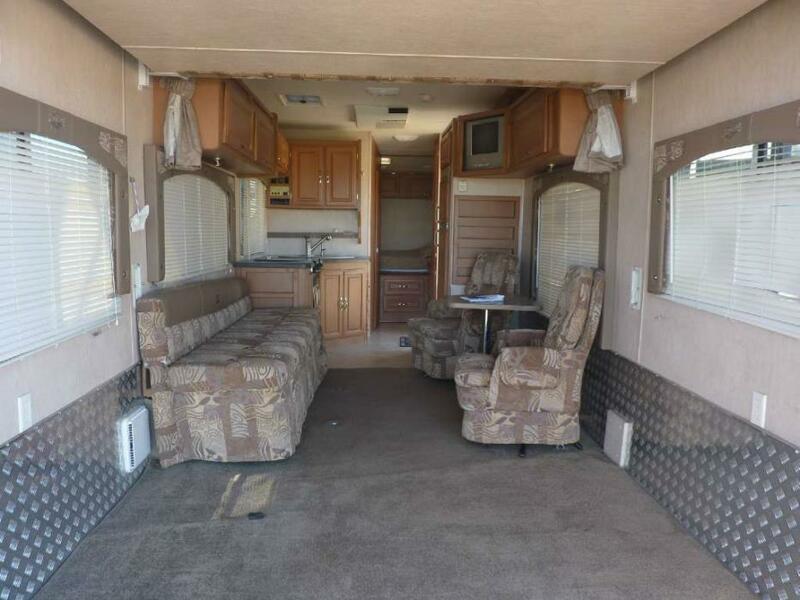 Super popular Weekend Warrior floorplan that is in great condition. 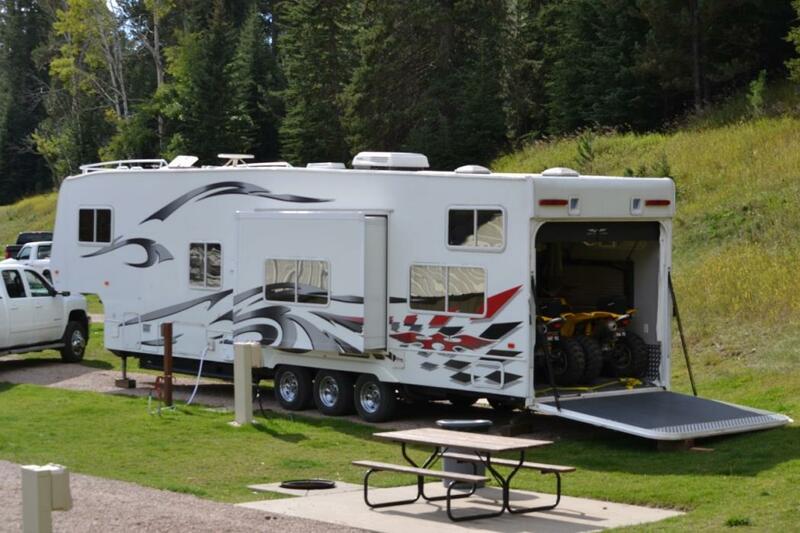 You don't always find use toy haulers in this good of condition. 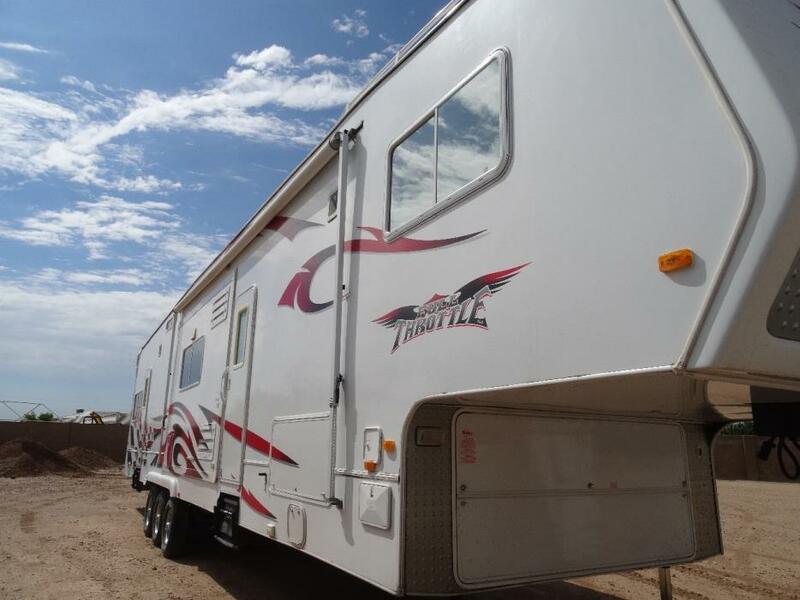 It has A/C, generator, fuel station with pump and much more. 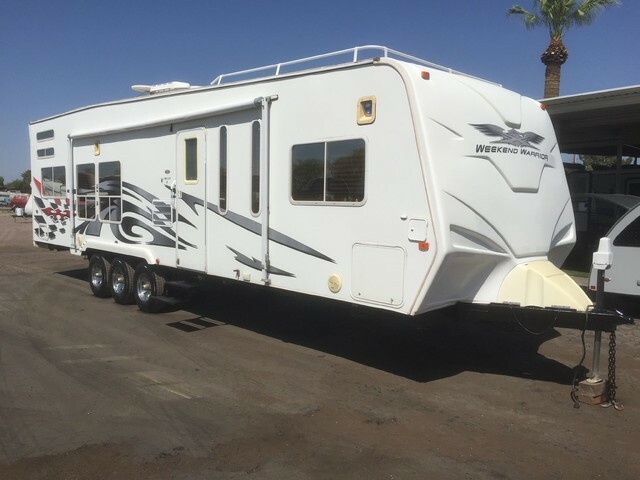 Give us a call with any questions at 602-258-3663 or come see it in person at our Grand Avenue location in Phoenix. 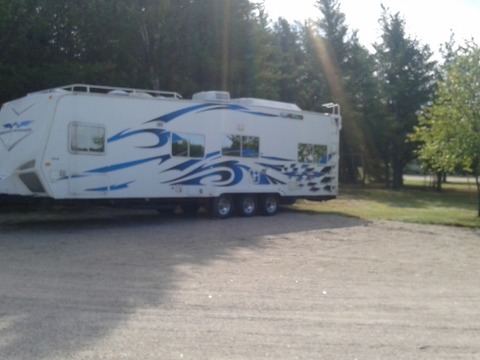 2005 Weekend Warrior FS2600 toy hauler for sale, $14,000 o.b.o. Very well-maintained!! 2-axle, 5.5 Onan Generator with 350 hours, hitch and weight transfer hitch included. Also includes new brakes, 1 year-old Michelin XPS rib tires with spare, two 6V batteries with 750 Watt power inverter, and upgraded leaf springs. Sleeps 6-8 on two queen beds and two double beds. Holds 140 gallons fresh water, 36 gallon fuel station, 16 gallon fuel tank for generator, 40 gallon black water, 80 gallon gray tank, 60 lb propane, everything works, awning in great shape. Serious buyers only please.